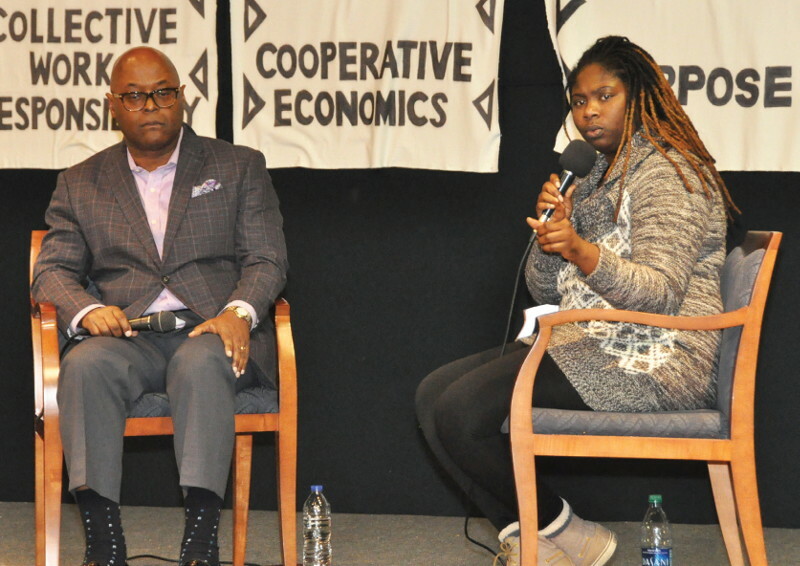 On Monday, November 19, 2018, the Coalition for a People’s Sheriff hosted “Community Conversation: Sheriff-elect Earnell Lucas” at the Wisconsin Black Historical Society, 2620 W. Center St.
Sheriff-elect Earnell Lucas (left) welcomed Milwaukee County residents to a town hall forum about his plans for the Milwaukee County sheriff ’s office. Attendees were given an opportunity to meet the sheriff-elect, converse, learn and ask questions. The event was moderated by The Coalition for a People’s Sheriff coordinator Ryeshia Farmer.